Unisex anti DVT flight sock. Helps prevent Deep Vein Thrombosis (DVT) on long distance travel. 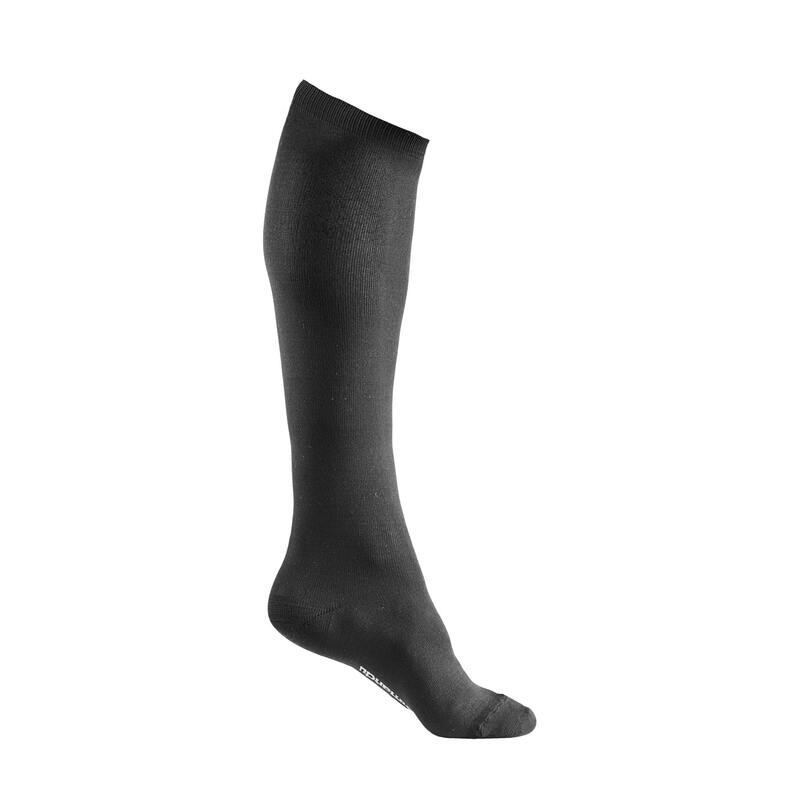 Flight socks provide a graduated compression applying a gentle pressure from the ankle up to the calf. The Flight Sock assists with blood flow around the body by directing it towards the heart. Increased circulation helps reduce the build up of excess fluid preventing tired, swollen legs aching during your travel, whether by car, bus, train or plane.